The United States announced sanctions on two North Korean officials behind their country’s ballistic missile program on Tuesday, while Russia reiterated an offer to mediate to ease tensions between Washington and Pyongyang. The new U.S. steps were the latest in a campaign aimed at forcing North Korea – which has defied years of multilateral and bilateral sanctions – to abandon a weapons program aimed at developing nuclear-tipped missiles capable of hitting the United States. The U.S. Treasury named the officials as Kim Jong Sik and Ri Pyong Chol. It said Kim was reportedly a key figure in North Korea’s efforts to switch its missile program from liquid to solid fuel, while Ri was reported to be a key official in its intercontinental ballistic missile (ICBM) development. ‘Treasury is targeting leaders of North Korea´s ballistic missile programs, as part of our maximum pressure campaign to isolate (North Korea) and achieve a fully denuclearized Korean Peninsula,’ Treasury Secretary Steven Mnuchin said in a statement. The largely symbolic steps block any property or interests the two might have within U.S. jurisdiction and prohibit any dealings by U.S. citizens with them. The move followed new United Nations sanctions announced last Friday in response to North Korea’s Nov. 29 test of an ICBM that Pyongyang said put all of the U.S. mainland within range of its nuclear weapons. 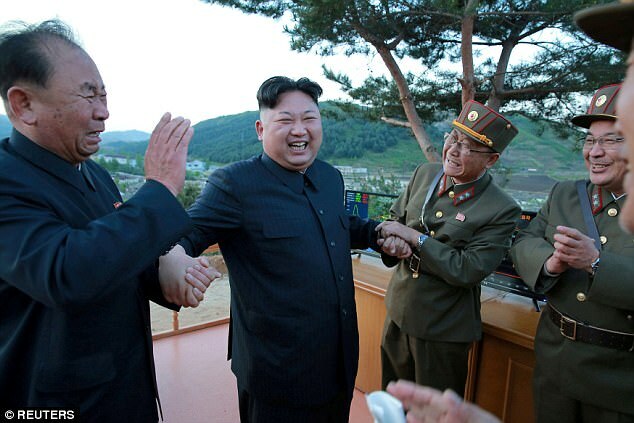 Those sanctions sought to further limit North Korea’s access to refined petroleum products and crude oil and its earnings from workers abroad. North Korea declared the U.N. steps to be an act of war and tantamount to a complete economic blockade. The standoff between the United States and North Korea has raised fears of a new conflict on the Korean peninsula, which has remained in a technical state of war since the 1950-53 Korean War ended in an armistice, not a peace treaty. Washington has said that all options, including military ones, are on the table in dealing with North Korea. It says it prefers a diplomatic solution, but that North Korea has given no indication it is willing to discuss denuclearization. Mass migration is dangerous not only regarding terrorism, public security, culture and social security, but also the whole healthcare system, State Secretary Bence Retvari told Hungarian daily Magyar Hirlap. According to Retvari, European epidemiological organisations have recorded a significant rise of communicable diseases, including those which had already disappeared from Europe thanks to vaccinations. Such cases have been documented in Malta, Italy and even Germany. According to the German Robert Koch Institute, since 2015 there’s a 300% rise in Hepatitis B and measles, and a 200% in malaria and syphilis cases. The frequency of diseases of unknown origin has grown from 14 to 26%. “If we compare how much would Brussels spend on integrating one immigrant in Europe, – which is clearly a failed attempt based on the experiences of the recent decades -, and how much it costs to restore a home in a crisis zone, it’s clear that with the same amount of money we can help a lot more people in their areas than in Europe,” Retvari stressed. The escalation in violence began when earlier in the day Monday thousands of mourners in the Gaza Strip buried seven militants killed during the Israeli commando raid and accompanying aircraft cover fire that resulted in strikes on the strip, which further led to sporadic rocket fire from Hamas. One Israeli soldier was reported killed during the high risk operation which reportedly involved the commandos entering Gaza by civilian car in order to take out a gathering of Hamas military leaders. During the Gaza funeral the crowd chanted “revenge” amidst masked gunmen in camouflage. Apparently that “revenge” came in the form of a mortar shell fired from Gaza which scored a direct hit on a bus in southern Israel, severely wounding a 19-year-old Israeli. 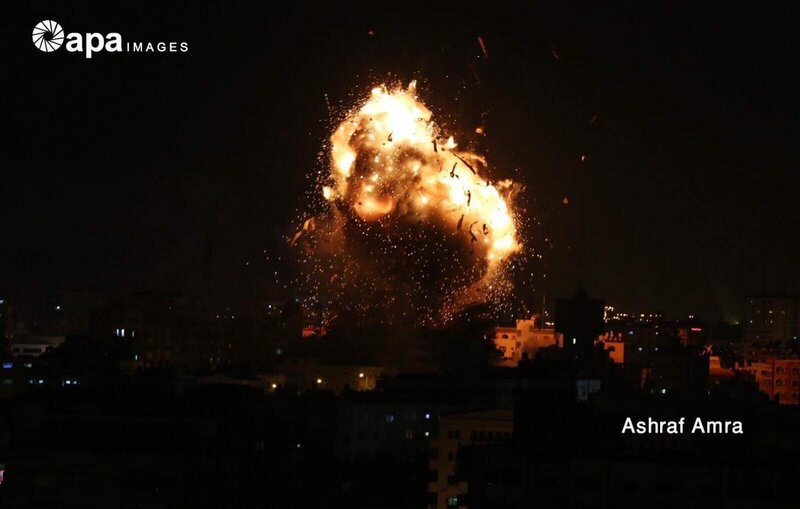 According to multiple regional reports this was followed by a barrage of over 100 rockets fired from Gaza toward Israel within only an hour’s time. Israeli sources have reported multiple injuries and extensive damage from the rockets, many of which may have been intercepted by the Iron Dome missile defense system. The debate about land redistribution in South Africa has been a passionate one, as many South African cities face a housing crunch that has left hundreds of thousands of people living in informal settlements. Just as this debate is starting to reach a fever pitch, one South African city, Ekurhuleni, is about to embark on what mayor Mzwandile Masina calls “a test case” for the nation: the government is going to seize hundreds of acres of land, from white citizens without paying for it, to build low-cost housing. Last month, the city voted in favor of pushing forward with “expropriation without compensation”. According to ABC News, this was cited by the African National Congress as a legal rule that is necessary in order to distribute land equitably and correct “historic injustices” that took place in the country. The mayor of Ekurhuleni stated the same thing, saying that landowners in South Africa should not be scared. Mayor Masina told AP: “Our policy is not to take the land by force. Our policy is to make sure the land is shared amongst those that need it.” It was unclear what those whom the land is taken from thought about this policy. The total amount of land that’s going to be expropriated amounts to about 865 acres. The land is both private and government owned, and some of it has been vacant for decades. Masina, who heads the local ANC-led coalition, did not specify which landowners will be hit be the measure. The internationally debated land reform was approved by South Africa’s ruling party to address the historic injustices of apartheid, and distribute land among the population more equitably. 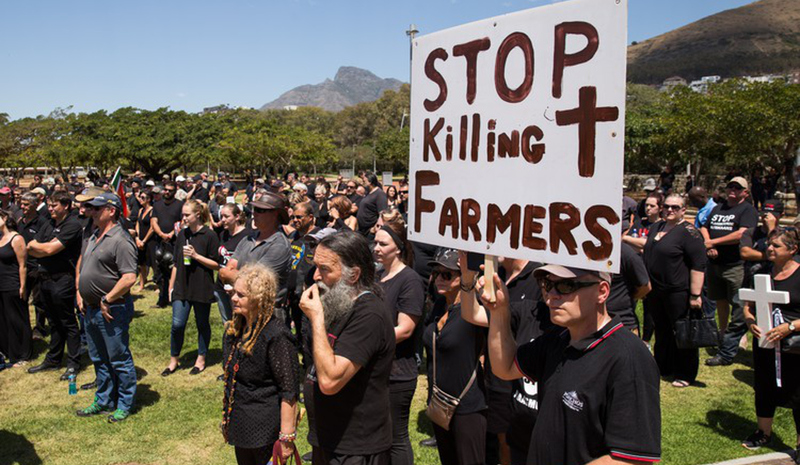 According to the country’s President Cyril Ramaphosa, over 77 percent of South African farms and agricultural holdings are owned by white citizens with only four percent of lands belonging to black South Africans. White citizens make up just nine percent of the country’s population, while black citizens account for 76 percent. This, to the ruling regime, is a green light to repossess land that has been owned by white citizens, in many cases for generations.